How do you keep users coming back time and time again? How do you minimize churn and improve retention so that your businesses can grow? The answers to these two questions is what every business has to figure out because retention is one of the most important elements for your SaaS business. If you’re not keeping customers coming back, then you can’t possibly grow your business sustainably. At SaaSFest 2015, David Cancel, CEO of Driftt, shared a retention framework that can benefit all of us in SaaS. It doesn’t take rocket science or any other secret formula to master retention. Successful retention rates start with the proper mentality followed by an accurate alignment of key retention components. During his presentation, David discussed how one change can improve your retention. This one change is simple, but not easy as it’s going to take some ground work to implement this change. To increase retention, you must align your internal incentives. Throughout this post, we follow David’s framework and show you how aligning incentives can improve your retention rate and propel your business to the next level of growth. 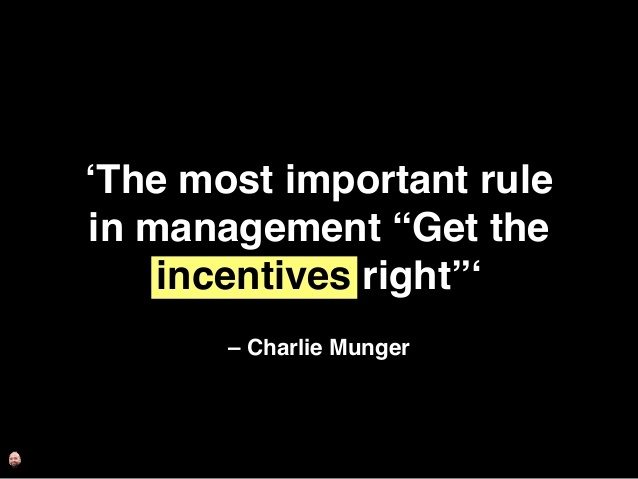 There are two categories of incentives; one being external and the other being internal. External incentives are the typical things we read about daily: pricing, product, and promotions. The main focus of this post, though, is geared towards the second category of incentives: internal incentives that align your teams and departments to promote customer retention. The best way to align the incentives of departments is to leverage the cognitive bias: “Reward and Punishment Super - Response Tendency.” What this means simply is you purposefully leverage incentives and disincentives. Very few businesses get this right because they get caught up on the dark side of metrics by either picking the wrong metrics to measure or tracking the right metrics inaccurately. Don’t get caught in the metric fog. "Not tracking the right metrics is like playing cards with chess pieces - you'll just be lost"
Most metrics for different departments within a business are not aligned with customer retention like they should be. Sales is usually aligned with dollars which is not a good stand alone measurement to align sales. Marketing is usually aligned with MQL’s (Marketing Qualified Leads) which is a top of the funnel, easy to boost metric that doesn't necessarily translate to value for the business. Product, also, is usually measured incorrectly with a million different ways of doing it wrong either through features, velocity, story points, etc; all of which don’t align with your customers needs. The solution to measuring these departments contributions to the success of business is through the customer. All of the metrics for your different teams should be designed to incent customer retention. First, you need to get your teams to a baseline, or fresh starting point, to implement this new customer centric ideology. Now, this is where NPS (Net Promoter Score) and eNPS (Employee Net Promoter Score) come into play. These are powerful survey tools that can be used to collect data for insight that you can plug back into your SaaS machine. 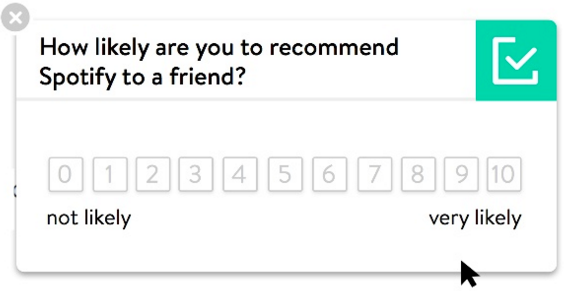 NPS asks the user to rate their experience as well as how likely they are to recommend to a friend (examples are easy to find at Spotify and Apple). eNPS asks your employees how likely they are to recommend working at your company to a friend. Once you obtain these metrics, you can move on to designing the metrics within each department geared towards improving the department and the total NPS or eNPS score. Just as we stated earlier, the focus for improving your retention is to get all of your departments on the same page and aligned around the customer. Here’s a look at what you can do within each major team in your business to get everyone centered around the customer by enhancing the value of your product perceived by the customer. Sales: Designing the metrics for sales is best done by using an old school approach. Using territories, you can divide your sales pod geographically. What this does is limit the number prospects that your sales team has access to by giving them a fixed number of companies in a fixed region. This will change the behavior of your sales team and re-emphasize a disciplined approach to obtaining quota by keeping folks from haphazardly running through leads. Marketing: To promote customer retention in your marketing department, there are two things you can do: 1.) focus on leads 2.) track customer NPS metrics. Also, SDRs/BDRs (business development reps) should be integrated with marketing to help qualify leads before they are passed on to the sales team. Typically, a BDR is found inside the sales team but there is potentially a lot of upside to joining this role with marketing to do a better job at qualifying leads. Product: For your engineering team, a heavy sense of customer service needs to be implemented. It’s important for SaaS companies to have the product team speaking with customers. Further, a good way to keep everyone on your product team sharp is to host what David calls “Monthly Science Fairs.” This creates a platform where the entire organization can see what product has been working on. The products displayed in this setting should be live and being used by customers. This ensures that your engineering teams are working with customers and taking their feedback to build bigger, better products. Aligning your departments with the proper metrics is a giant step towards mastering retention. Once the customer becomes the absolute focus of your company's efforts, you will be able to collect the data you need to improve your product and create a better overall experience. Once the experience is optimized, you can align your pricing strategy with the value of your newly refined product and continue to grow revenue and the overall success of your business.